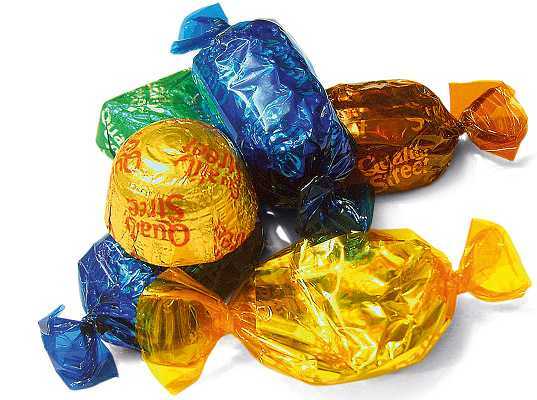 Guide: bulk Quality Street prices. 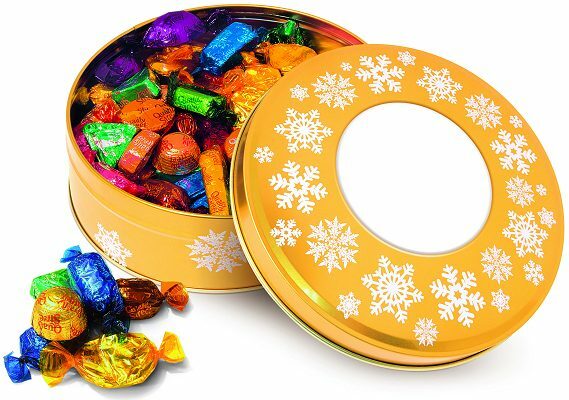 This gold share tin decorated with snowflakes for Christmas is filled with Quality Street sweets and has a large 98mm diameter print area for a fully personalised domed label on the lid. 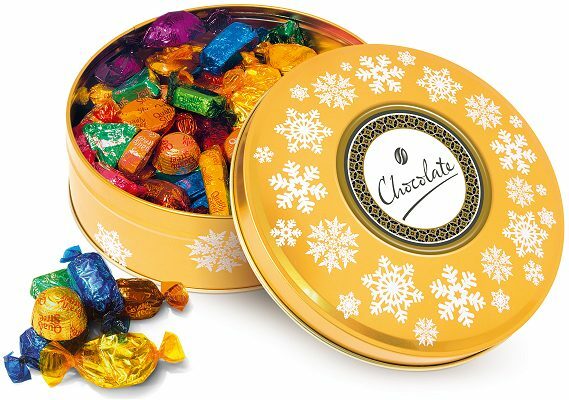 This is part of our Promotional Chocolates selection where you can find all our chocolate gifts in one place.